After ordination in the Lutheran Church, I served Prince of Peace Lutheran, in Philadelphia, Holy Trinity Lutheran Church in Wilmington, and Zion Lutheran Church in Wilmington. I continued my studies while working and earned 3 Masters and finally a doctorate at Temple University in Theology. Retiring in 2014 I have served churches as a supply pastor. My relationship with Tree of Life goes back to the beginning 25 years ago when Pastor Blackwelder, Jim Raun and I helped start the mission in Middletown at St. Anne’s Episcopal Church. This parish has been an inspiration to me as a locally founded and run ministry which is showing great ability to reach out in worship and service. God has blessed this parish in many ways through good times and bad and will continue to be the source of strength for our future. I am married to Cheryl and we have between us 6 children, 14 grandchildren (and 1 one the way) and 2 great grandchildren. Cheryl enjoys church life and has served throughout the church whenever she could. She also is retired and is very active playing flute with two flute choirs and two bands while being a church choir member. My interests include fishing, hiking, history, gardening, and travel with Cheryl to our children living across the country. I am active in Boy Scouting at Unity Lutheran Church (the new name of Zion) as Cubmaster and Troop Committee Chair. I am looking forward to serving Tree of Life. In a way I always thought I would. I am already enjoying our worship life, the great fellowship of the Older Wiser Lutherans Seniors (OWLS), and a great group of kids. JP my companion puppet and his friends have also found a home here. Duane Dillard is the Music Director at Tree of Life Lutheran Church. Duane is a lifelong Christian and feels playing music in church and for God is not only his passion but his calling. 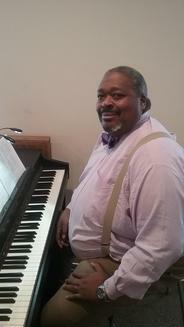 Duane brings over 35 years of experience from diverse worship environments. That diversity is reflected in Tree of Life’s worship service where you’ll find a mix of traditional hymns, anthems, contemporary praise and worship, and southern gospel. Tree of Life loves music and, if you like singing too, you’ll feel right at home. Most of the liturgical music is contemporary and easy to sing. Duane accompanies singing on the piano. His piano style helps make singing easy and enjoyable. Duane carefully selects hymns that are both meaningful and musically appealing. Tree of Life has a small choir and welcomes you to join. You will find a supportive group of vocalists that work to make music that enhances worship. Tree of Life is delighted to have Duane serve as our Music Director. Please join us for worship soon. I’m retired from customer service work. My husband and I moved to Delaware in 2008 and joined Tree of Life on January 18, 2009. Not only do I volunteer as office manager but also head up TOL’s Grocery Club. I like volunteering because it keeps me busy, and I like helping people. I enjoy being a part of TOL because TOL is like a family.